Firm, multi-level inner bristles thoroughly clean between teeth and are tough on plaque. 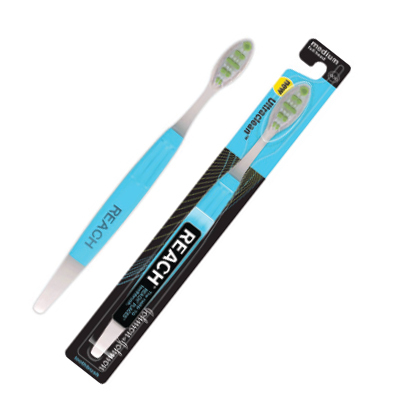 Soft, longer outer bristles gently clean along the gum line and behind the teeth. The dense cleansing tip effectively cleans behind front teeth and around back teeth. It also features an ergonomic rubber grip handle for better control and comfort.